Yoga is a great way to keep your body fit and your mind calm. It makes a lot of sense to make yoga a part of your daily life. But that is easier said than done, right? Most of us know how good yoga is, yet there are things that can keep us away from practicing this ancient form of working out. It might be a total bummer if you are a college-goer who is tight on a budget or a homemaker who can’t spare time to go for yoga classes. But what if I tell you that you can still practice yoga at home? Read on to know how to practice yoga at the convenience and comfort of your home. 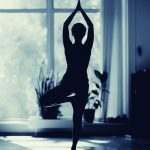 Here are a few tips you need to know on how to learn yoga at home. The first thing you need to do is read about yoga, research about the different asanas, and their benefits and styles. Read the guidelines and check out the pictures to learn the correct postures. Get your comfy yoga clothes and a non-slipping, comfortable yoga mat. Try to practice yoga in the open air. Ensure not to eat anything 4 hours before doing yoga. It is best to practice yoga in the morning. 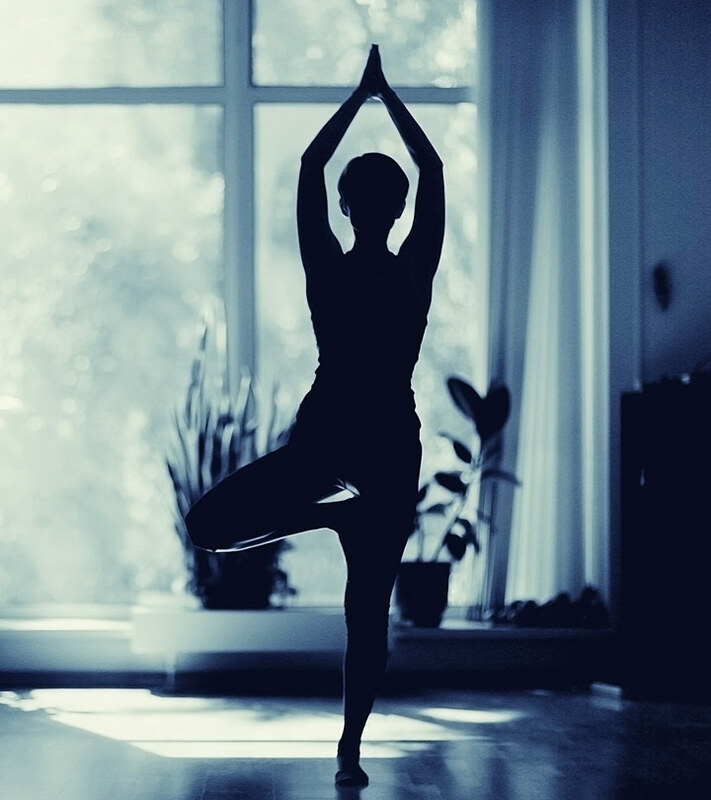 Yoga calls for a space that is well lit and properly ventilated. It helps if the setting is serene as maximum benefits from yoga can be reaped when performed in a soothing environment. Add candles to light up your room, in case the room is not sufficiently lit. Ensure that there are no sharp objects or furniture around you, as they could cause injuries when stretching during the asanas. Identify your goals before you start practicing. Chart out a plan for yourself and make sure that it is specific, measurable, achievable, reliable, and timely. Be reasonable in your expectations and bear in mind that yoga is not meant for achieving physical benefits only. The ideal time to practice yoga is early in the morning before the sun rises or in the evening after the sun sets. Decide on a time that is most suited to you and devote that time in its entirety to yoga every day. Resolve to practice yoga every day. Yes, every day, even if you do it just for 20 minutes. Further, resolve to try a new posture every week. This way will not only make you become more adept at the yoga, but also make you learn more poses. Do not multitask while practicing yoga at home. Those endless chores, phone calls, and the lure of social networking sites can wait for a more suitable time. Your sole focus while practicing yoga must be on your goals and the asanas that you perform. The slightest carelessness can at times result in grave injuries. Start your practice with very basic yoga postures if you are a complete beginner. Like, start with basic seated postures, such as Sukhasana, Vajrasana, and stretches like Balasana and Pawanmuktasana. You need to slowly acquaint yourself with the yogic practice. So, it is better to slowly open your body to the restorative postures and then move forward. Yoga at home can be practiced at a time of your convenience. However, never practice yoga as soon as you consume a meal. It is ideal to wait for at least a couple of hours after breakfast/lunch or for four hours after dinner before you start your practice session. As with other forms of fitness, it is mandatory that you indulge in some form of warm up exercises before you get into the more intricate yoga asanas. Warming up aids in preparing the body for the rigors ahead, thus protecting it from injuries. Yoga is meant to nourish your body and soul and to help you lead a calmer and more fulfilling life. Respect your body and give it sufficient time to adjust to the practice. Practicing yoga even for a few minutes every day stretches your body in new ways and therefore it is crucial not to rush through the asanas in a bid to finish early. Listen to your body and increase the time and repetition of each asana accordingly. Doing so is sure to keep injuries at bay. It is essential to breathe right when practicing the asanas. Hold your breath only when it is specified. Shortness of breath is your body’s way of asking you to slow down. This is the most important tip in yoga for beginners at home. Just like warming up is essential to awaken your muscles at the start of a session, cooling down is equally crucial to calm down the rejuvenated muscles at the end of the session. Always wrap up your yoga session with Savasana. This asana is designed to help the body unwind and to restore your breathing and augmented blood circulation back to normalcy. Pranayama, like Kapalbhati, Anulom-Vilom, Bhramri, teaches breath-control. Yoga is all about the breath; your breathing is as important as the correct postures. Keeping pranayama’s myriad of benefits aside, it also helps in learning how to control and regularize your breathing. So, start practicing pranayama regularly even before you start practicing Yogasanas. Flexibility is one feature of yoga that scares a lot of people away and confuses the rest. You are not supposed to be super flexible to be able to do yoga. It is actually one of the ways that yoga benefits you – it makes your body more flexible and limber. So, the first thing you should do in the morning when you wake up is doing some basic stretches and twists to improve your flexibility. But keep in mind this is a slow process. Baba Ramdev: He brought yoga to our home. He has something for everyone – elderly, young, children, and women. Baba Ramdev’s yoga videos and DVDs involve easy, beginner-level poses. He teaches you exactly what to do and how to do in detail. Then he keeps doing the asana along with you, tells you when to inhale and when to exhale. 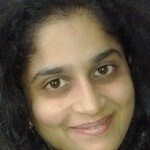 Shiva Rea: She is one of my favorite yoginis and I totally love her Yogini and Shakti DVDs. Her beginner’s series is inspiring and motivating. She pushes your limits but knows where to stop. An amazing teacher, she tells you exactly how to align your body and breath in her soothing voice. Shiva has something for every level of yogi. I’m sure you’ll fall in love with her like me. Rodney Yee: Rodney Yee will leave you awe-struck. He is an excellent teacher and has many videos for beginners. His videos are very calming and he pays attention to very minute things. Denise Austin: If you are more interested in yoga as a workout, then you should try Denise. Again, great cuing and she assumes that you know nothing about the pose so she’ll tell you all. But, Denise’s brand of yoga is more of remixed yoga, which mixes traditional poses with other contemporary exercises and she gives you a lot of variations. The best part about her videos is that she keeps it fun and keeps encouraging you with her peppy attitude. What are you waiting for? I believe yoga is the ‘Amrit’, the elixir that angels and demons fought for – your key to a beautiful, fulfilling, healthy life. So, do not let anything deter you from bringing your inner yogi out. Follow the above-mentioned guidelines, start your yoga practice at home slowly, continue steadily and rediscover your body and soul.